Stephen Williams, an AC Transit bus driver who just marked his 10 year anniversary, said the rise in attacks on drivers and slow response times in emergencies prompted him to bring a gun to his job. An AC Transit bus driver facing criminal charges for bringing a gun to work is speaking out for the first time about the threats that caused him to take drastic measures. 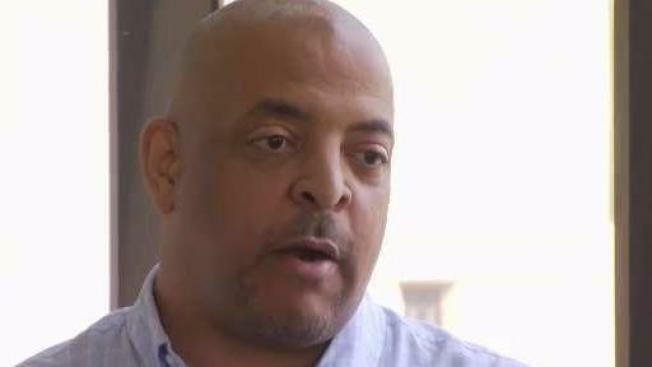 “I was concerned for my life,” bus operator Stephen Williams told NBC Bay Area. Williams joins a running list of AC Transit employees who believe the district needs to improve its security measures and protect drivers from the growing number of attacks. A 10-year veteran, Williams said he treats all passengers with respect, and can de-escalate almost any potentially violent situation. But when Williams asked a long time rider to stop playing a vulgar video on his phone, the passenger refused, forcing Williams to remove the man from his bus. Williams said he was familiar with the rider and tried to be a mentor to the man, even giving him his phone number. Williams and other drivers say for years they’ve asked for protective shields around the driver’s seat to keep them safe from assaults. In February, AC Transit Chief Operating Officer Salvador Llamas told NBC Bay Area they would install shields within 90 days or sooner, but drivers are still waiting. "Due to the poor reaction time of the Alameda County Sheriff's Office and no adequate security or protection provided by the district, from this point on, I will be carrying a loaded firearm whenever on duty for the district. I have been threatened both verbally and by text, from a passenger." Shortly after sending the email, Williams received a text from his supervisor warning him not to bring to bring the gun. Sheriff Deputies arrested Williams near the Hayward Bart station when he arrived to start his shift. AC Transit board member Greg Harper said he was stunned to learn a driver felt scared enough to bring a gun to work, but condemned the use of weapons. “He made a bad mistake,” Harper told NBC Bay Area. Oakland attorney Greg Harper was first elected to AC Transit's Board of Directors in November 2000. Harper said he only recently learned about the frequent assaults against bus operators and wants the agency to review how it responds to crimes against drivers so they won’t feel the need to be armed. “We’re going to fix it. We’re going to fix it,” Harper said. A spokesperson for AC Transit told NBC Bay Area that the initial plan to install protective shields was delayed due to design modifications. The district hopes to begin testing shields on bus certain routes by early October. Meanwhile, U.S. Rep. Ro Khanna wants to require local transit districts to keep track of assaults and report those numbers to the Department of Transportation. In June, Khanna co-sponsored a bill that would also require agencies to install shields to protect drivers, and train them on how to de-escalate violent situations. They are security measures that Williams said he and other drivers welcome. “We are supposed to pay attention to the road. If I have to worry about you coming behind me and slit my throat, I’m not paying attention to the road . . .so that’s dangerous for everybody,” Williams said. Williams is currently on suspension and faces two misdemeanor charges for carrying a concealed firearm and carrying a loaded firearm in a city vehicle. He is expected to appear before the transit district Wednesday where he will fight for his job and ask to be reinstated.